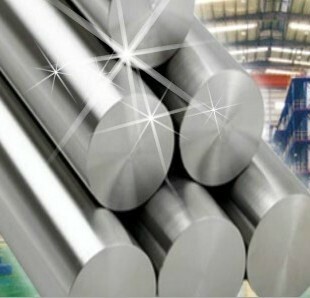 17-4 PH is a precipitation hardening, martensitic stainless steel (17Cr-4Ni). It is noted for its high strength and hardness, excellent corrosion resistance and easy heat treatment. 17-4PH is usually machined to finished dimension in the solution heat treated and then strengthened by age hardening via the low temperature treatment process described below. 17-4 PH is magnetic in both the solution treated and age hardened conditions. MACHINABILITY: 17-4PH is readily machinable in the solution treated and various age hardened conditions. More specifically, in the solution treated condition, this grade machines comparably to 302 and 304 stainless steels. In the hardened condition, when aged at 900° F (Condition H900) which produces a hardness of about HRC 44 the machinability is approximately 60% poorer than in the solution treated condition. When aged at 1100° F (H1100) which produces a hardness of about HRC 34, the machinability of this grade improves dramatically. THERMAL CYCLING: No protective atmosphere is required for thermal cycling 17-4PH during aging or solution annealing because this grade is very low in carbon content. Dimensional Stability: When properly aged at 900° F, 17-4PH has been found to contract slightly (.0004-.0006 inches, per inch uniformly and predictably in all directions). Anneal (Condition A treatment): Heat slowly to 1875 to 1925° F, soak one-half hour at heat. Air cool (sections over 3″ thick) or oil quench (sections 3″ thick and under) to room temperature. The approximate annealed hardness will be about 36 HRC. WELDING: 17-4PH is readily weldable. A 17-4PH electrode is available and should be used where mechanical properties must be equivalent to the base metal. Preheating and post heating are not necessary. A maximum inter-pass temperature of 250° F should be maintained. To obtain the best possible weld microstructure, the material should be solution annealed after welding and then aged hardened as required. Where a weld deposit is not required to have the mechanical properties of the parent metal, a 304 or 308 type stainless steel rod may be used. The values shown in this data sheet are to be used as a guide for estimating purposes only. Principal Design Features One of the most widely used precipitation hardening grades in the business. While soft and ductile in the solution annealed condition, it is capable of high properties with a single precipitation or aging treatment. Characterized by good corrosion resistance, high harness, toughness and strength. Applications Commonly used in both aircraft and gas turbines, nuclear reactor, paper mill, oil field, powder metal injection molding industry, and chemical process components. Machinability Long, gummy chips characterize this alloys machinability. It can be machined in the annealed condition, however condition H1150M will yield best results. Post machining solution treatment of parts will be required prior to final hardening if machining in this condition. Forming This alloy is capable of being only mildly formed. If forming is required, do so in the overaged condition for best results. Welding Successfully welded by common fusion and resistance methods, this alloy should not be joined by oxyacetylene welding. AWS E/ER630 filler metal is recommended if required. Heat Treatment CONDITION A–Soak at 1900 F (1038 C) for 30 minutes and cool below 60 F (16 C) for complete martensite transformation. CONDITION H 950- Treat Condition A material at 900 F(482 C) for 1 hour, air cool.. CONDITION H925, H1025, H1075, H1100, H1150- Soak solution treated material for 4 hours at specified temperature, air cool, CONDITION H1150M- Soak solution treated material at 1400 F (760 C) for 2 hours, air cool, then re-heat to 1150 F (620 C) for 4 hours and air cool. Forging Soak for 1 hour at 2150 F (1177 C) prior to forging. Do not work below 1850 F (1010 C). Post-work solution treatment is required prior to final hardening. Hot Working 17-4 PH can be easily hot worked using most of the common processes. It is suggested that material be solution treated at 1900 F(1038 C) then formed during cooling while the material is still austenitic. Post-work solution treatment is required prior to final hardening. Annealing 1900 F (1038 C), hold for 1/2 hour, rapid cool. Hardening This alloy has good ductility and may be readily formed by all conventional methods. Because the alloy is stronger than regular steel it requires more powerful equipment to accomplish forming. Heavy-duty lubricants should be used during cold forming.